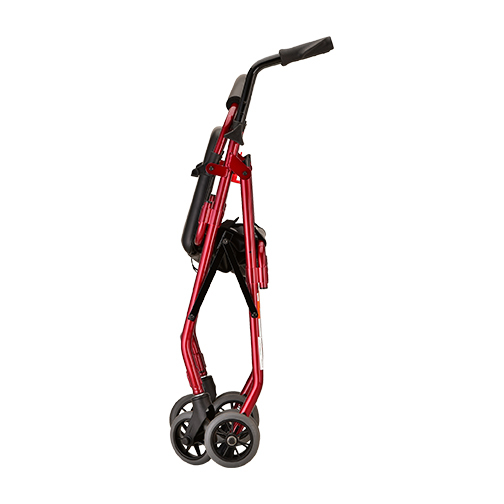 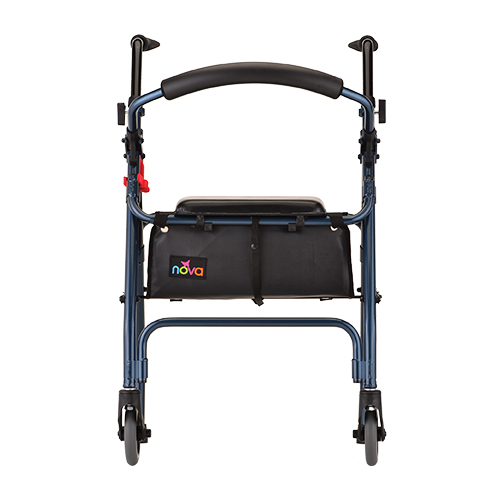 NOVA Rolling Walkers are the Built for Life with the best features and quality in the mobility world. 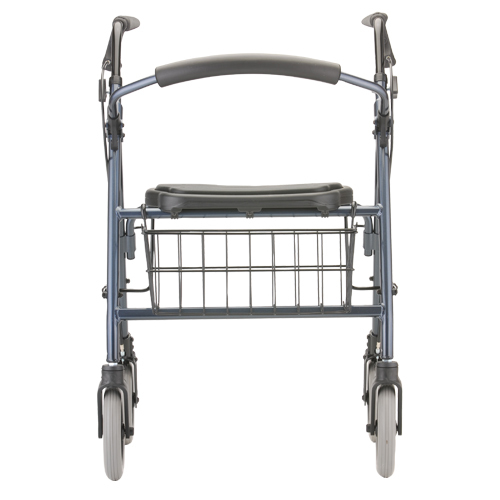 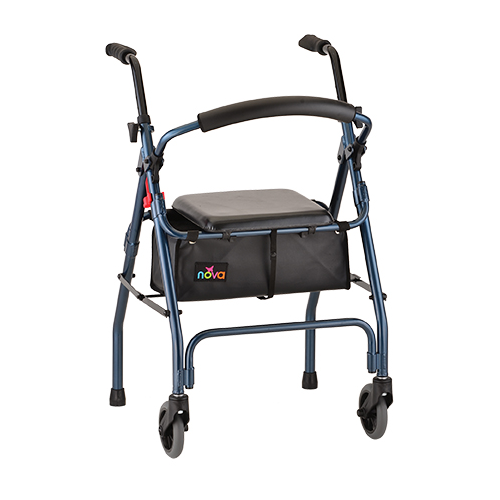 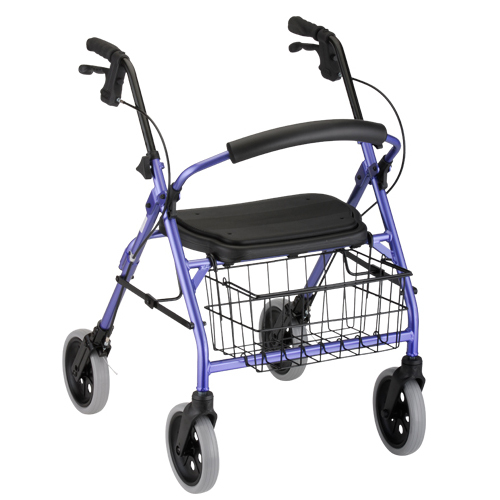 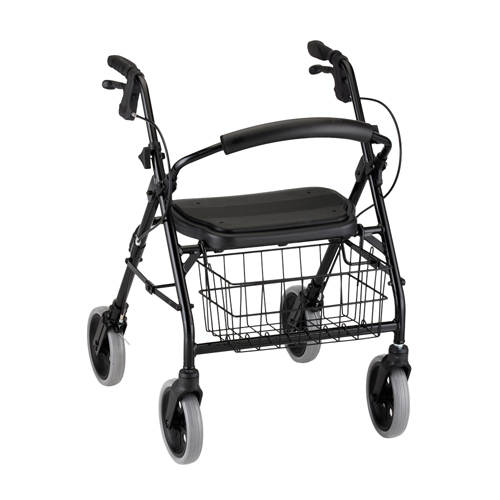 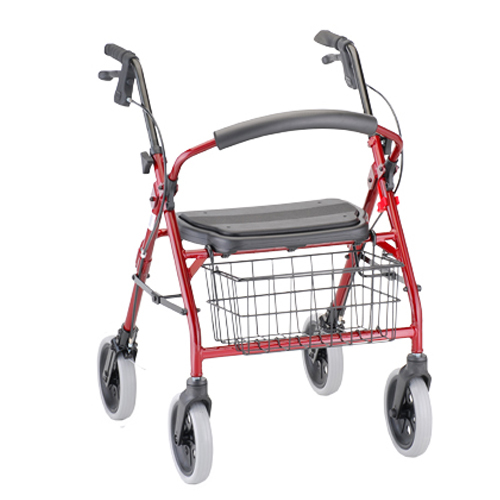 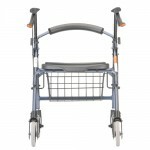 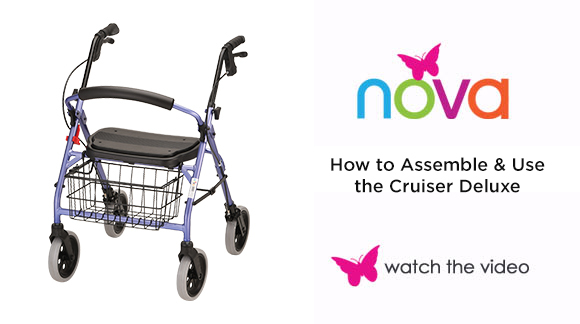 The Cruiser Deluxe Rolling Walker is one in a series of NOVA’s diverse walker line with molded seats with built in pads, front basket, and fixed legs (so no assembly required). 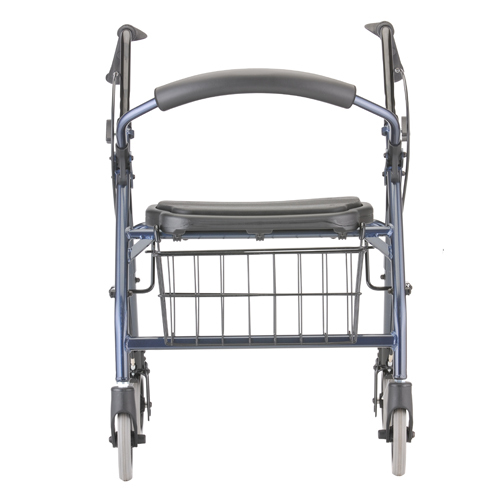 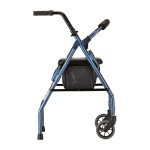 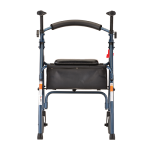 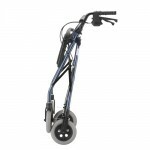 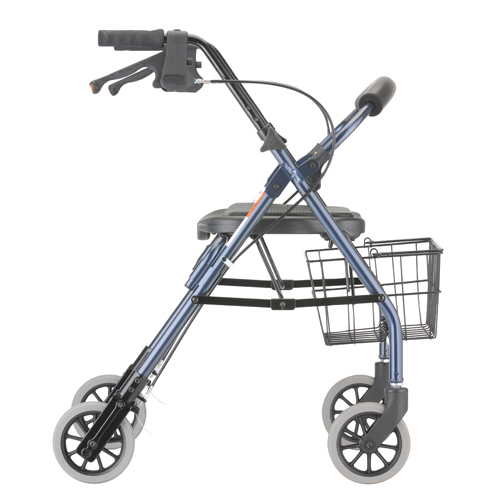 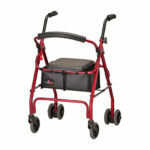 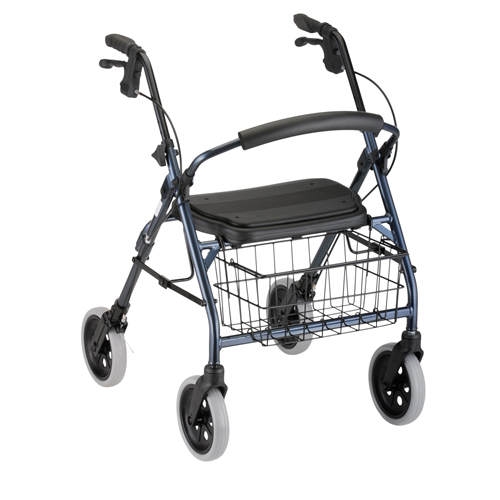 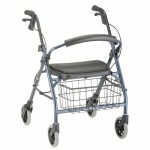 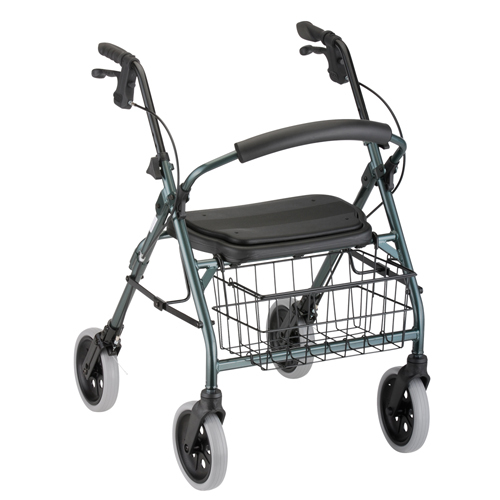 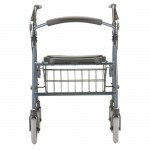 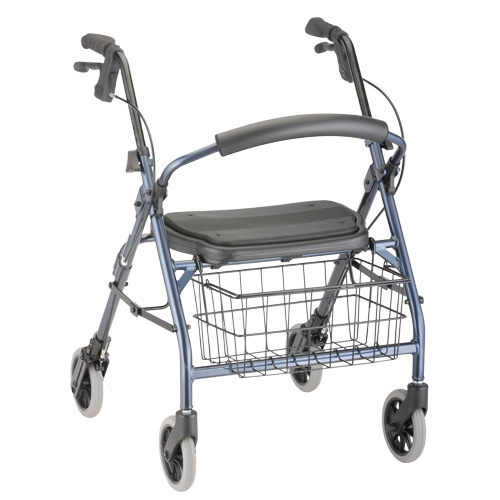 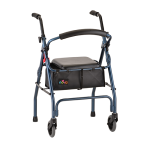 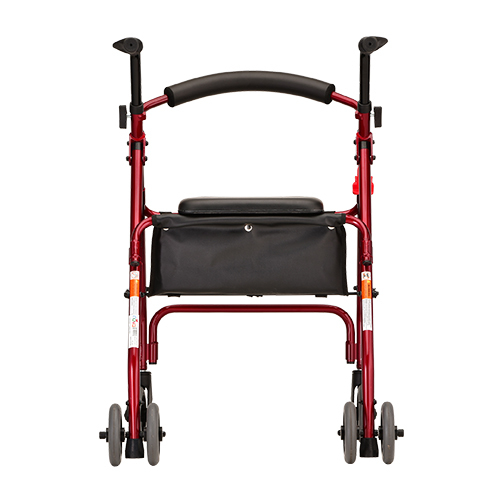 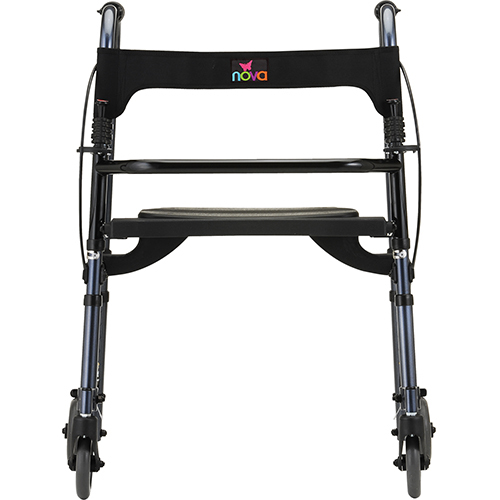 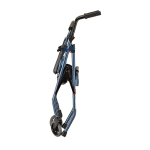 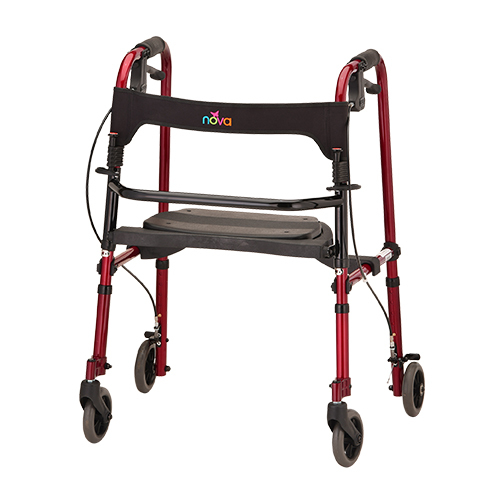 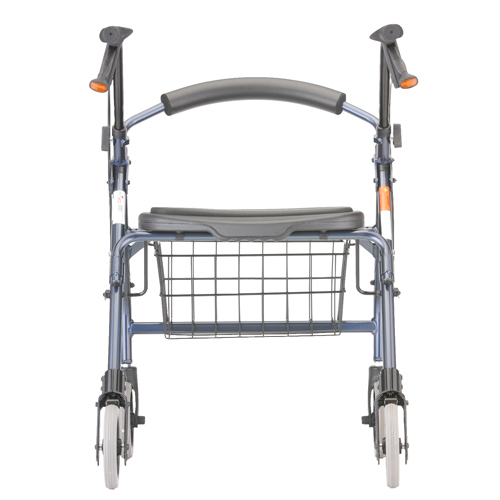 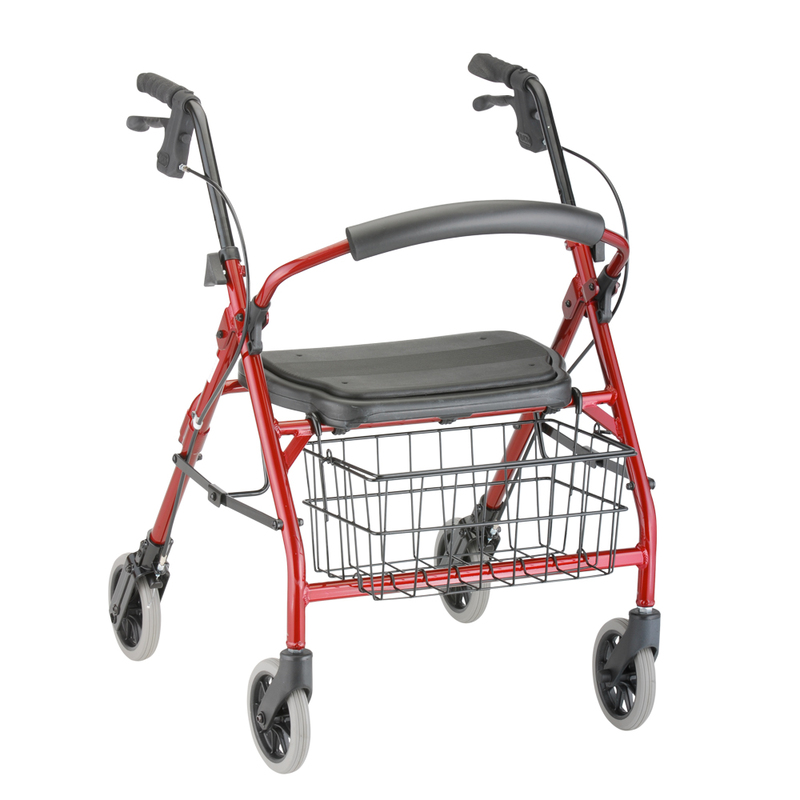 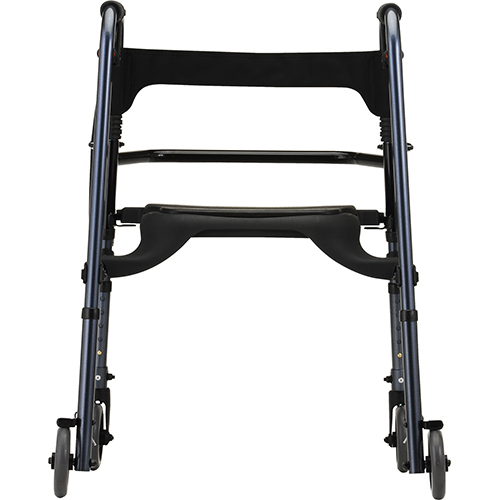 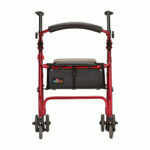 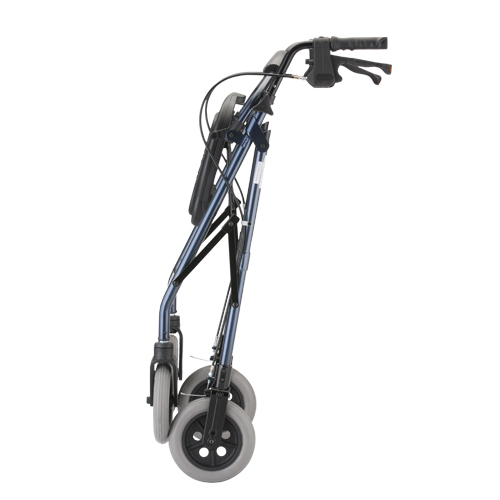 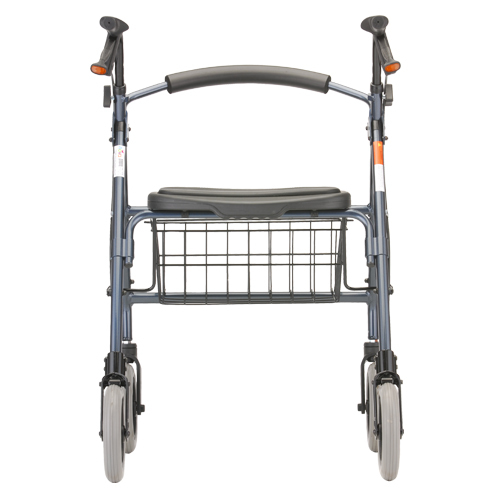 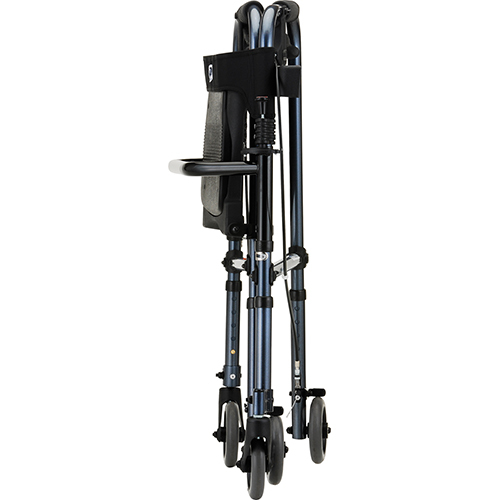 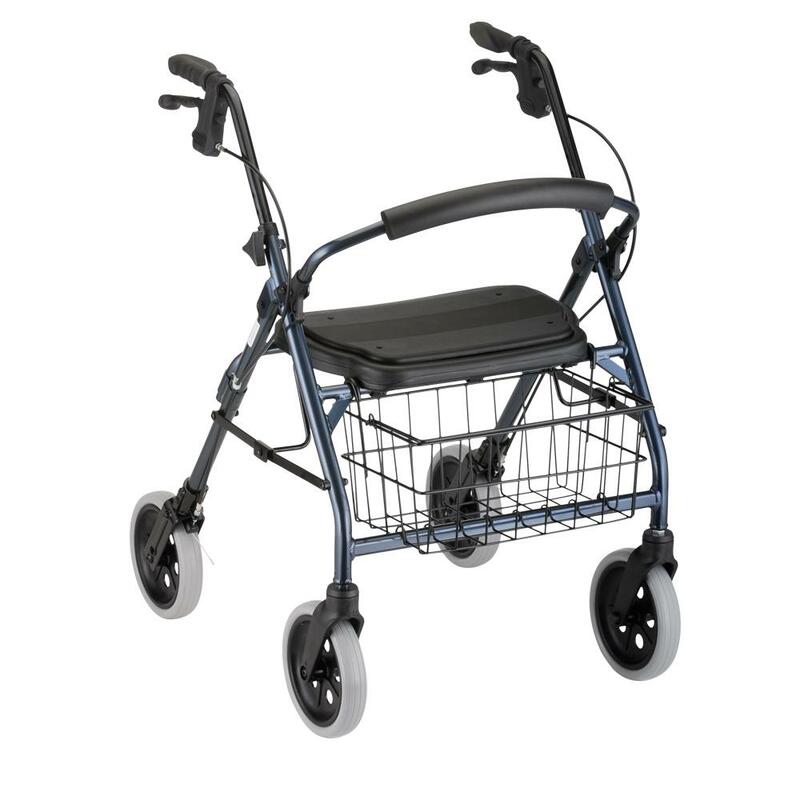 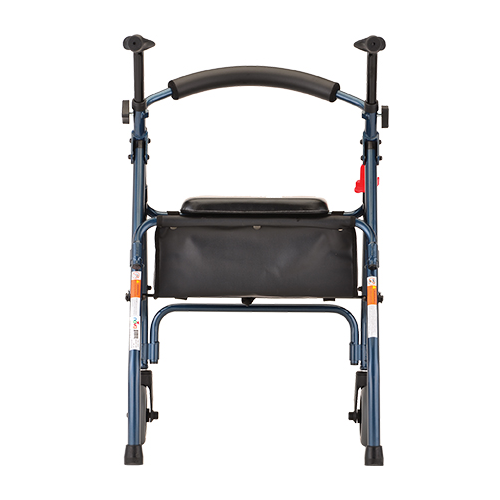 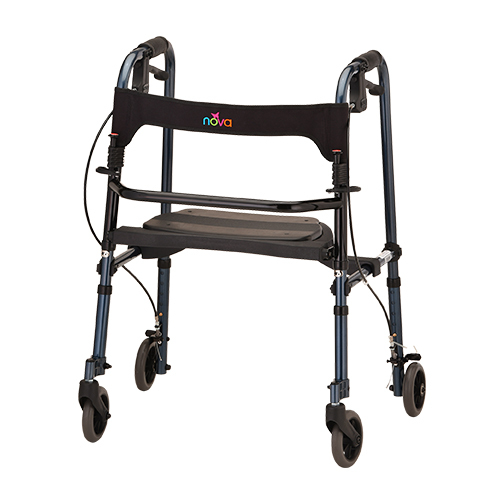 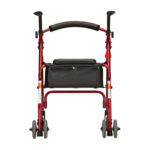 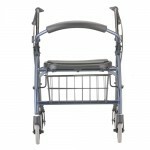 Other NOVA walkers with these features are the MACK series (heavy duty) Rolling Walkers . 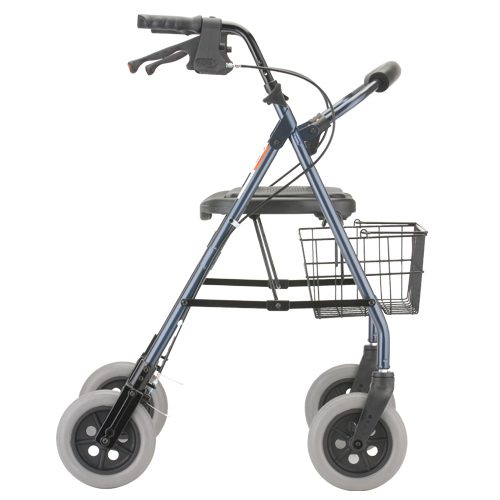 Both the Cruiser Deluxe and Mack series comes in different size options. 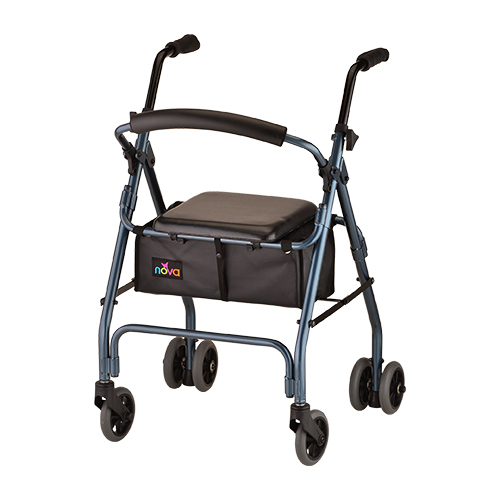 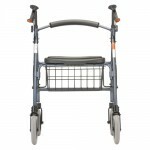 The NOVA Cruiser Deluxe Junior Rolling Walker is ideal for more petite users with a lower handle height adjustment and seat height. The Cruiser Deluxe Junior comes with 6” wheels, a deluxe seat with a built-in pad, locking hand brake and removable front basket. 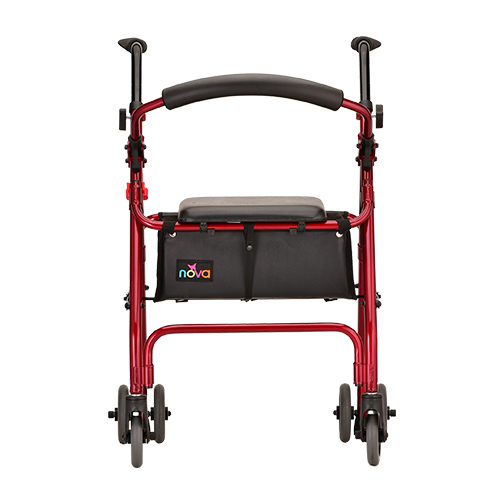 The sleek frame is so easy to fold and comes with the Lock n’ Load to keep it closed for transport and storage. 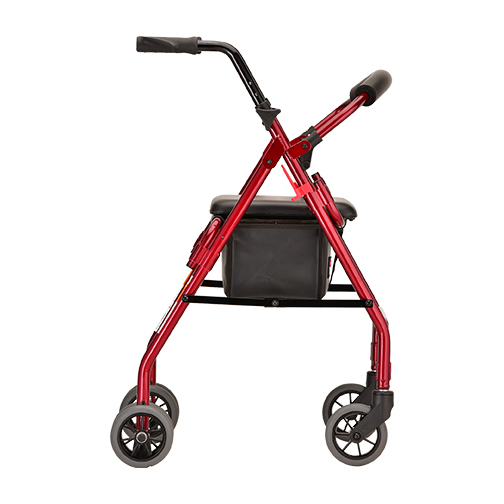 The Cruiser Classic allows you to cruise along with a weight activated brake system. 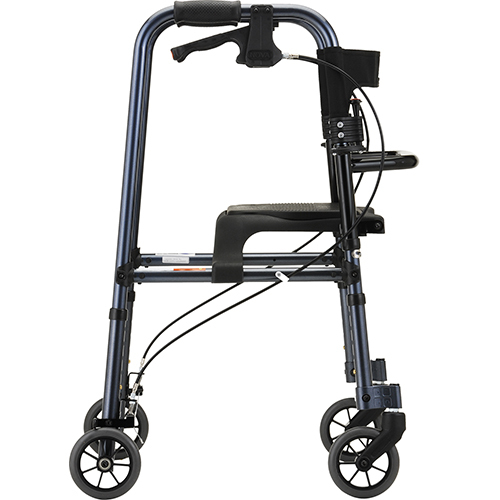 This walker DOES NOT have locking hand brakes for those unable to use them. 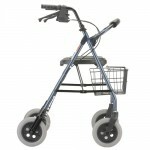 Moderate-to-good stability is required to use the weight activated brake system, which is non-locking.